It is estimated that 67 million households in the United States have household pets. A good number of these households, like many in Levittown, PA consider their pets like a family member. Unfortunately, accidents are considered a natural part of having pets. • Take action immediately! Fresh stains are simply easier to get out. Acted on promptly, you have a 75% greater chance of getting the stain removed. • Eliminate as much of the stain as possible by blotting liquid spots and scraping up solid debris, such as mud. • Fluid stains can be eliminated with a wet/dry vac when you have access to one. • Whenever using chemicals to eliminate spots, try a region that is undetectable, such as a closet, before trying it on the stain. This extra measure of caution will help to make certain you don't end up damaging the carpet fiber or discoloring the carpet. Since it is concealed, you can attempt an alternative stain removing solution until you discover what's going to work. • Use of the spot removal substance ought to be done by working from the outside in. I can't stress this enough: you have to take extra caution not to do anything may possibly spread out the stain. Warning: blot the remaining cleaning solution out of your carpet. Make sure that you never scrub the carpet with a stiff bristled brush, which will ruin your carpet fibers. • Make certain that you rinse out chemical spotters entirely with water. Blot the spot over again until it's as dry as you're able to get it. Whether you'll be getting rid of spots on carpeting or furniture, weigh an absorbent pad or layer of bath towels down with heavy books or any other heavy object. The longer you keep this in place the more wetness you're going to remove from the carpet. • Once you remove a stain, the tendency is to want to dry the region. Please use caution, as high temperature can set the stain if it's not completely out of the carpet. It is best to allow the area to dry naturally. Using a Do It Yourself method will get out some stains but for more complicated stains call Oxigreen in Levittown, PA for professional carpet cleaning. Our many years of experience plus our understanding of proven methods to eliminate nasty carpet stains means you'll be able to trust us to remove virtually any spot. There is nothing we haven't seen! 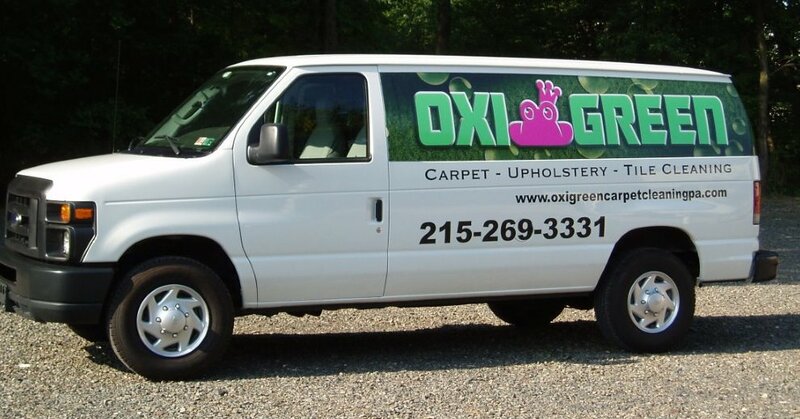 For prompt spot treatment, call Oxigreen at 215-269-3331 in Levittown, PA today! We can easily assist you with your carpet and upholstery spots and any of your other carpet-related needs, including expert carpet repair and carpet stretching.